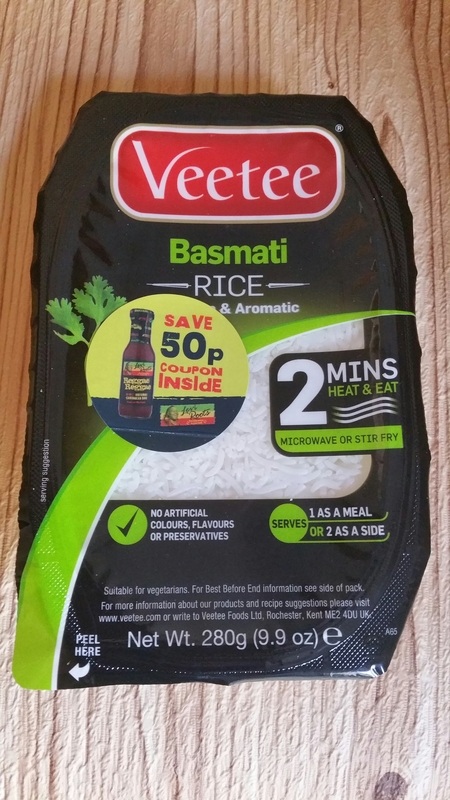 In April’s Degustabox there was a tray of Veetee Basmati Rice amongst all the other goodies. The easy and obvious way to have used this precooked rice would have been to just heat it up in the microwave and eat it as part of a main meal. I decided to be different and use it in a pudding. 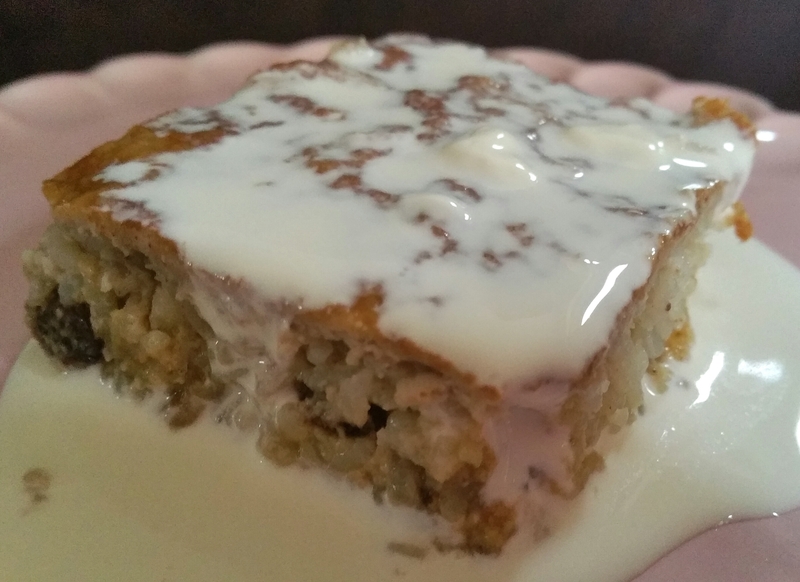 I have called it a 2 in 1 pudding as you can eat it hot as you would a normal rice pudding, or let it cool until it sets so you can slice it up and eat it like a traybake, on it’s own or with cream poured on. I actually preferred it sliced up cold. It sets so well you can pick it up to eat it, but as I had cream on mine I was civilised and used a spoon!! It is a very easy recipe to make, and you can adjust the amount of rice you use to suit your preference. I used the whole tray, which is 280 grams. If you prefer a creamier pudding, use less rice… although I’m not sure how well it will slice up if you decide to eat it cold then. Preheat the oven to 180C/ 160C fan/ gas mark 4. Butter an ovenproof dish (I used a lasagne dish). Place all of the ingredients into a large mixing bowl and mix well until completely combined. Pour into your buttered dish. Place the dish into a larger roasting pan and fill the pan with water so it comes up the sides of your dish of rice pudding. Do not let the water go into your pudding though! Bake in the centre of the oven for 40-45 minutes. It will be golden on top, and a knife inserted into the middle should come out clean when removed.